First gig up for Tilt Trio for the new year and it was a beauty! I could hear nicely and wonderfully relaxed on a bar stool; our Belgian-Australian singer mate Alysa who was over for a family visit so we could get her up for a few tunes; our playing was great (excuse the self-congratulations, but it's getting very comfy after years playing together). Perhaps best was the air-conditioning as an escape from this monstrous heat. Happy to claim we were hot but thankfully not like that. So, great night, lots of fun with several friends around for the ride. And thanks for Holly and Jess and others at Molly. Tilt Trio played at Molly with guest Alysa Ingles (vocals). 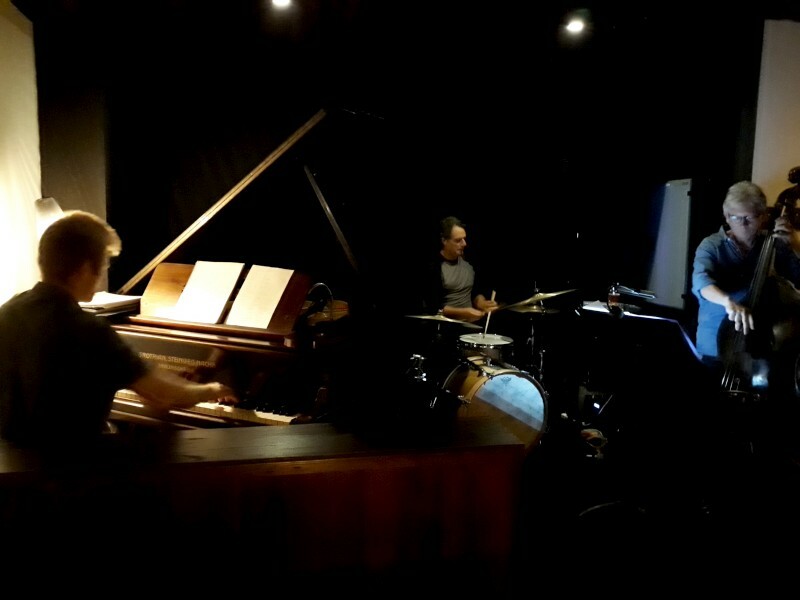 Tilt are James Woodman (piano), Eric Pozza (bass) and Dave McDade (drums).